The Panthers have signed third-round draft choice Charles Godfrey and seventh-rounder Geoff Schwartz. Godfrey, who starred at Iowa, could become a starter at free safety, while Schwartz will provide depth on the offensive line. 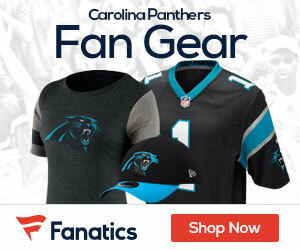 The Panthers now have only two picks unsigned, first-rounders Jonathan Stewart and Jeff Otah. The team hopes to have Stewart and Otah signed for the start of training camp later this week. Players report to Spartanburg on Friday, with the first practice scheduled for Saturday morning.